Get out of town with these interesting Seminyak side-trips: Ubud (Tegalalang Rice Terrace & Sacred Monkey Forest Sanctuary), Uluwatu Temple (in Pecatu) and Tanah Lot Temple (in Beraban). 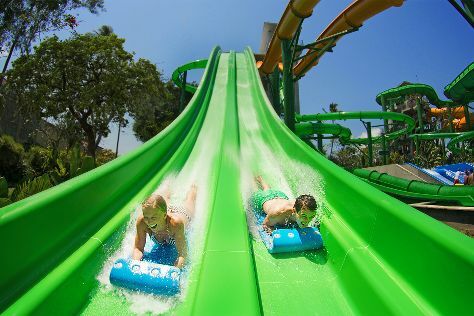 The adventure continues: make a splash at Waterbom Bali, soothe aching muscles at some of the top local wellness centers, stroll through Kuta Beach - Bali, and pause for some photo ops at Ground Zero Monument. To find where to stay, ratings, photos, and more tourist information, use the Seminyak trip generator. Singapore, Singapore to Seminyak is an approximately 5.5-hour combination of flight and taxi. In May, plan for daily highs up to 36°C, and evening lows to 29°C. Finish up your sightseeing early on the 19th (Fri) so you can travel back home.